An important part of learning to drive is the theory test. it has two parts – theory questions and hazard perception. There is a question bank of over 800 questions from which 50 questions are selected for your theory test. The pass score is 43 out of 50. Although some questions seem to have common sense answers, others such as “what does flashing amber at a pelican crossing mean” requires some knowledge that comes from learning for the test. some driving schools have their own unique theory test learning materials and all instructors will be able to help you for the test. The second part of the test requires you to watch 14 short CGI videos lasting about 30 seconds each. You need to click you mouse button when you see the developing hazard in each clip. 13 clips have just on such hazard, while one clip has two. the sooner you click the mouse within the scoring windown the higher you score. Maximum score is 5 per hazard and is on a desending scale to 0 if you failed to identify the hazard by clicking the mouse or just click too late. the pass score is 44 out of a maximum of 75 marks. 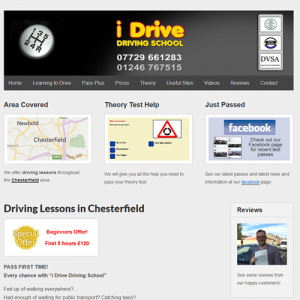 You can learn for the theory test by using official theory test learning materials. These are smilar to but not identical to the actual question bank. Most people learn best in an interactive style and a dvd that you can download to your computer works best for most people. Thereare also apps that you can use on your phone but make sure that you use one that gives full unlimited access to the complete official theory test question bank. At present our listings are free. No listing goes live before it has been checked, so there will be no spam entries here. To maintain the quality of the directory please use correct grammar, spelling and capitals. Poor quality entries will be rejected. 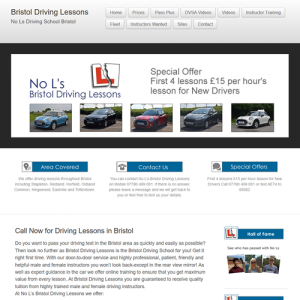 Driving instructors get listed in our directory here.